Hard to choose just one. They're all so different. 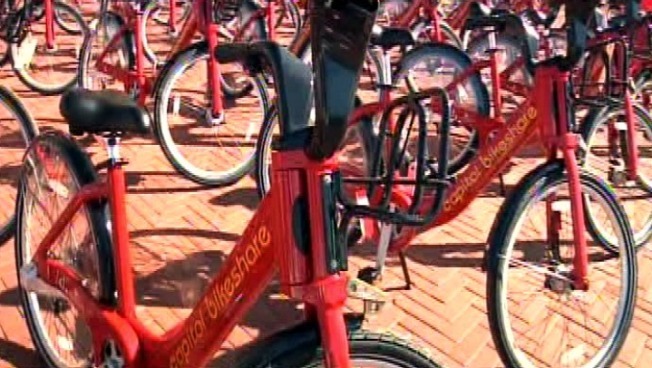 Capital Bikeshare could be expanding into Alexandria, where the city manager is considering a pilot program that would expand the system already in place in Arlington and the District. Wheeling into the Firehook coffee shop in Old Town Alexandria, Arlington bicycle enthusiast Allan Reiter says Alexandria should join Capital Bikeshare -- the service that allows paying members to borrow bicycles. He says he's not worried about criticism that the $400,000 program would be a waste of money. "Of course it costs. But they were saying that about bike paths 10 or 20 years ago and look how popular they are up and down the Mount Vernon Trail and all around the Washington area. In fact, this area is becoming a lot like Seattle," he says. Old Town resident Poul Hertel says the city should put the brakes on Capital Bikeshare. "To spend so much money on so few bikes for so few people seems to be ill-advised given that there are needs elsewhere that are much more pressing," Hertel says. The pilot program now under consideration would put 54 bicycles at six stations. The cost of the first year could be financed with money from a federal grant. Alexandria would join a contract originally created between Arlington and Oregon-based Alta Bicycle Share, which operates the system. The District of Columbia later joined Arlington's contract. Now, Alexandria is taking a look at doing the same. "Alexandria has a very strong bicycling community and potential demand for bicycling facilities," says Alexandria bicycle coordinator Carrie Sanders. Critics say the program has yet to break even. But Alexandria Transportation Director Rich Baier says lots of government services don't make a profit. "If you look at recycling, you look at transit, neither of those are self-supporting. So these services, which are necessary components to urban life, are not self-sufficient either," Baier says. The city manager is expected to make a decision this summer. Copyright 2011 WAMU 88.5 - American University Radio. All Rights Reserved.